The other day as I was waking I saw very clearly in my mind a metal circular door, with lots of markings. I found myself standing in front of it and as I stood there waiting for it to open I heard clearly “put your hand on it”. Laughing to myself and feeling a little silly, I placed my hand in the smooth spot and the doors opened. I stood there surprised and a little in shock as I realized I was looking into an observation deck of a ship. I walked in and was happy to see my highest aspect looking out the vast windows. She beckoned me over and I looked out the window at the beautiful earth below and was just amazed at the sheer number of ships in the sky. I asked her if the ships were there for a mass landing as I had seen a few posts saying that landings were imminent. She shook her head and told me no, that a mass landing would bring about fear, panic, and utter chaos. None of which is beneficial in helping people to break free of the control matrix. She did say however, that more and more contact is being made, but on an individual and group basis. This can come in dreams, meditations, and journeying. That people need to simply open up to receiving and put away their logical mind which can interfere with contact. The minute you say “I’m imagining this” or ”It’s not real.” the experience ends. I tell my clients who do this to tell their thinking mind that they are playing when they go into meditation, because giving yourself permission to play can help stop the logical mind from judging the experience. As we were talking, Sananda and a few other Ascended Masters entered the room. They explained to me that we are in a critical time. Too many are getting lost in the “Savior” stories. That the belief that ships will descend to save us is no different than the belief in the Christian rapture. Both of those stories are designed to take the responsibility of fixing our lives out of our own hands. The deep truth is that only we can save ourselves. We must each do what it takes to save ourselves, whatever that means for us. Another part of the “savior” stories that we have been playing out is the belief that we can save another. Too many are martyring themselves trying to save another at great expense to themselves. It was explained that we cannot change another, but we can be the example. We can show a different way, but we must honor each person’s individual choice. Sananda also explained that each person is being tested during these times. Can we hold our light in the face of chaos and adversity? Can we come from a place of non-judgement and by doing so, truly be the example? The most important thing they explained to me is that each person must walk in their own power, their own sovereignty. To become the walking master means to understand at the core that YOU are the one that affects your life the most. YOU are the creator of your own destiny. To think that another has control over your life is to give your power away. Can we in the face of reality crumbling maintain the focus on our own growth, our own mastery? They explained that it has never been more important to empower ourselves to be the highest version of self in every moment. There was an urgency to this message. Things are going to continue to unfold, truths exposed that have the potential to trigger great outrage within us and the collective. It is up to each us to remain centered, balanced, and loving. It is up to each of us to continue on the path of remembering who we are as the world wakes from a long deep sleep. At the end of the meeting, I was told that there were body upgrades coming that would require us to rest more and to use every tool that we have learned to move through the next phases. I returned from this incredible meeting to find myself knocked down for a few days with the upgrades so intense they reminded me of what I experienced in 2014. This time however, I knew that on the other side of the stomach pains (explosions), body aches and shivers would be a huge jump in frequency and greater clarity. I hope that this message finds you well and walking in your mastery and remembering that no one is more powerful in your life than you. Thank you to all who read, share, and support these transmissions. I come to you today to discuss the recent energy shifts and what is coming in the near future. You are in an amazing time of rebirth and every man, woman and child is being given the opportunity to move beyond all that has held them in place. Since the galactic alignment codes have been coming into earth that are helping you to enact deep changes within all of your being. Your physical being is becoming more crystalline so that you are able to be the light. This is accomplished slowly because as you are accepting more light into your form, you are simultaneously clearing density. These codes coming in act as a magnifier of all that is not in service to your purpose on earth; as well as to show you all that is serving your higher purpose. Things in your physical reality will become glaringly obvious when they are not in alignment. Likewise, these energetic frequencies assist you by revealing all that is hidden within the layers, deep in the cellular memory. If you see yourself as a giant recorder, learning from all things in this and previous incarnations you can begin to see how much is needing to be integrated. You have learned much from your experience, now it is time to let it go and return to your natural state of unconditional love, joy and gratitude. We understand this process is not easy and many struggle with resistance from the ego and body. This can leave a person in physical, mental and emotional pain. Many are praying that this time will end and that they no longer are consumed by this process. The more light codes that stream to earth, the more the magnetic field of earth is lessoned and the more the world is polarized, the more some suffer. There is a way to help ease this transformational process. Find your joy. Joy is your natural state and the more you embody your soul, the more the absence of joy is magnified. Think of a loved one returning after a long, difficult experience. You would not expect this person to feel joy in every moment as the difficult experience is still very real to them and you would love them unconditionally. When they feel moments of laughter, hope and inner peace you will also be there giving gratitude for each moment no matter how fleeting. Now we are asking you to give this to yourself. Love yourself unconditionally, be patient and kind with all that arises within. When you do feel the moments of joy, realize that it is you in alignment with your soul and give deep gratitude for the experience. As with all energy, the more you give gratitude for the joy you feel, the more you align with the frequency of joy. Each time you enter this state you will be able to remain in it for longer periods. The upcoming solar eclipse will be a turning point for many. Each person will step further into their authentic self. For some it will mean having the courage and strength to make changes that no longer are in the highest good. Some will begin to walk fully in their power, not allowing ego to hinder their process any longer. For others, they will begin to merge with the next layer of their soul, their solar aspect. Each of these requires that you are able to allow light to flow through every particle of your being. This is why the deep inner work taking place is critical at this time. To facilitate this process we ask you to actively seek what brings you joy. This transformation taking place on your planet and within each of you is breathtaking. We hold you in the highest regard. Me: Matt Kahn had jokingly referred to those on this path as angels with PTSD. I feel there is truth in that. Sananda: Yes, this is why we ask each of you to be gentle with yourselves and find joy. Me: Many on this process find that they go into a deep depression as they sort through their layers and beliefs and what use to bring them joy no longer does. This leaves many feeling lost and confused. Sananda: This is an opportunity to explore what matches your soul. Instead of seeing that something is wrong it can be seen as a blank slate to find what brings joy, just as you did as a child. Each time you expand your horizon it opens doors and pathways for your soul to find what resonates. Me: Many are complaining that they are experiencing weight gain and bloating again. Why do we gain during intense energetic times? Sananda: Not all do, but it is the bodies attempt to accommodate more light. As one undergoes deep cellular changes, the body often swells, feels depleted and dehydrated. Many vital nutrients are missing and this causes the body to be stressed. Me: What is missing and why? Sananda: Your soil is depleted and is unable to provide the nutrients it once did. Your bodies are also experiencing stress from the chemical bombardment. Sananda: Vitamin D and magnesium are key ingredients as is alkalized water. This process when combined with the chemicals in the body causes many to be acidotic. Sananda: Yes, while you receive more nutrients in organic food, it is still not in the purest form as was intended. I hope my questions and answers have helped you as they have me. I am holding all of you in the highest light and with the deepest love. May you all be blessed. Thank all of you who have shared and supported this work. It means more than you will ever know. We come to you today with important information regarding this process and what is taking place energetically. 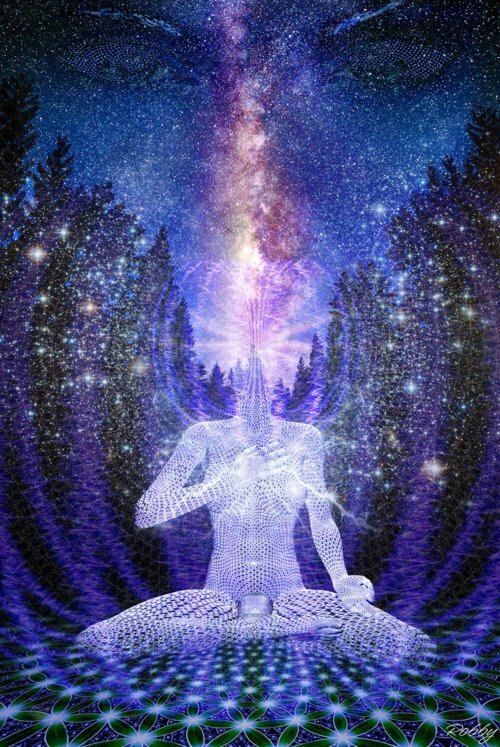 The accumulation of energies is pushing each person to raise their vibration and merge more completely with their soul source; their higher self. Every being on earth at this time is affected by this shift, all in varying degrees. None are left out of these energetic changes, this includes the earth, the elemental kingdom, your plants and fauna, as all beings have agreed to partake in this incredible journey of soul growth. How each of you is affected with depend upon the work that has been done previously. At this time many of those previously unaware are beginning to feel the stirrings of discontent, of wanting more meaning and peace in their lives. It is during this stage that one may experience great disruptions in their life. For some this can be in the form of job loss, a relocation, relationship change, even the loss of loved ones. While this may be difficult for the person to understand, these changes are helping to remove all layers, belief systems and personas that were adopted while living on earth. All that is not in alignment with the authentic self must leave. It is through drastic changes that one begins to question all around them. How long this phase of growth lasts depends solely on the person and how easily one is able to let go off all resistance. Some are able to hear the slightest soul whispers and act on that impulse, others may need much more encouragement. Understand that there are no right or wrong ways for one to awaken. Each path, each choice is an experience that provides soul growth. For those of you who are awakened, we are asking that you help lead your brothers and sisters, by being supportive and compassionate. This is a time in which healers in all forms will be greatly needed. Some have already experienced drastic change in many areas of their life and are now on the path of incorporating all the aspects of their soul. Each person on earth has aspects within of the elemental kingdom, the angelic realms, their guides and the masters. As one grows on this path they incorporate the aspects of each being that has helped them on their journey to self. Each aspects allows you to remember more of your divine nature and your magnificence as you return to source. This process for some is quite easy and for others it is difficult. It depends on how one is able to flow with changes and is able to release all that is not in alignment as you realize the full scope of your soul. Identifying with only one aspect will not allow you to grasp the full potential of ALL THAT IS. Understand that you are all of these things and yet none, just as you are an individual, yet you are all ONE. Others are merging the final aspects of their soul and in doing so are finding they no longer have the higher self outside of them, but firmly anchored within. It is during this phase that one becomes the master walking on earth. The soul will anchor in layers and emerge more and more as one understands and clears their patterns and all that is not in alignment. It is during this time that all that is previously understood and believed will be challenged. What was once believed as truth is no longer accurate. Each will be called to master their own thoughts and in turn their manifestation of the hologram around them. For some the integration of the higher self can be anxiety inducing as one must go within for guidance and trust all they are feeling instead of looking outside ones self. Never before has trust been as important as it is now. We are asking that these souls step into their leadership roles and help guide others through the energies. All of these phases can be physically draining as the body is receiving upgrades to all the systems and releasing unwanted mental and physical density. For many the upgrades to the electrical system can cause flu-like symptoms. It is very important to stay hydrated at this time as a well hydrated body is able to handle the upgrades much easier. Sleep when called is also essential for the changes taking place. It has been agreed by all on a soul level that the light codes coming into earth will continue and each one will help move all to their intended goal. We are very pleased with the progress being made and like you, can feel the momentum building with much anticipation. Me: I had to laugh when you said that some hear the soul whispering and others need more encouragement. The past few weeks I feel like I have been in a life review, seeing where spirit urged me, guided me and where I ignored it for a long time. It was as if spirit whispered, then yelled, then hit me with a hammer and finally a sledge hammer till I screamed uncle and just let it all go. For me the sledge hammer looked like major back surgeries, a summer in a nursing home, the loss of my career and then my farm. Yet, I can see now how much I learned through each cycle, how much more experience I gained and how I use it to help others. So for that I am grateful. Sananda: You will find that the winding trail offers the greatest lessons and growth. For those who are being called upon to help others, which many of you are, it is actually essential to experience each level, each phase very deeply. One can not guide another unless they have a perspective that resonates within the one being helped. Many of you are hard on yourselves, you feel that you have failed in various ways. We ask you to stop seeing yourself in this manner, but instead see that you were gaining understanding of many human phases and conditions and how to move through them. Each of your perceived failures was in fact an experience you were meant to have and move beyond. Me: Thank you, that is very helpful. Me: I was recently visited in a lucid dream state by my deceased grandmother. I was surprised as she only passed a couple of months ago. She told me that I was holding on to deep grief, anger, and abandonment issues from my grandfather passing right before I turned 9. She explained that I had to see it, acknowledge it and then let it go. That this deep held stuff, that I didn’t fully realize was there, was hindering my embodying the soul. I was able to release so much after that and a deep peace settled over me. It gave me the impression that it’s an all hands on deck situation, that we are getting so much help from every avenue. Sananda: Yes, everyone is being guided and helped, most often in dream time which is why sleep is so important at this time. It allows one to integrate the energies but to also gain greater understanding of the limitations experienced from the human perspective and to release those. Me: Not everyone remembers their dreams or is able to see and hear other beings and dimensions. Some feel they are left out because they are not experiencing these things. Sananda: Everyone is being helped, all at different levels and at the time that is appropriate for that soul. Many only perceive a fraction of what is taking place. It is fear that makes one judge themselves against another. From our perspective, each person’s journey is perfect as it is. To book a Spirit Guide reading or Ascension Guidance session with Jenny Schiltz, please go to jschiltz.appointy.com Special for the New Years! Take 20% off all readings and classes. Enter NEW YEAR in the discount/coupon code when checking out. Offer expires on 1/31/16. I come to you today because we are in a crucial time. The waves that are entering earth are getting stronger. These waves will peak around the 23rd of September and will remain high until the 29th of September. It is a very critical time, one that will demand that you are in your heart space. Many of you are experiencing tests that are taking you out of your heart space, the space of knowing and oneness with your highest aspect and frequency. These are occurring so that you can feel the difference and to see what in you remains unresolved. That which is unresolved keeps you from residing fully in your heart space.. It is also so that you practice bringing yourself back into resonance with your true self. The more you are in this space, the less you will find that you leave it. The energy coming into earth will be best utilized by those who are able to remain in their heart space, the place of oneness or Christ Consciousness. There are many names for this vital connection, but the feeling is the same for each one. It is in this space that you are able to love all, see the beauty in the unfolding, and most importantly allow and trust that all is happening perfectly. As the energy waves are increasing, more and more fear will be produced as this is the natural reaction when one does not understand what is taking place. Even those completely unaware are able to energetically sense a shift around them. Yet, even those who lack understanding will have a choice, they can go into fear and look for events and exchanges to validate their feelings or they will simply go on with their day keeping a positive outlook. One should not underestimate the power of a positive outlook as this implies trust in the universe and a deeply understood knowing. You who are aware have the responsibility to turn away from all that brings fear and disharmony to your system. For this moment, this is very important as that which causes you fear, sorrow, or judgement will take you from your heart space. This does not mean that you ignore or pretend that suffering does not exist. Instead it is an opportunity for you to send unconditional love to all that are hurting. This can be done while acknowledging that others have their path and purpose and you have yours and each is exactly what the soul needs for growth. One needs to look at their expectations for the wave of energy that is building on your planet. How you feel about the wave will help to determine it’s affects in your life. If one looks to the wave with joy and excitement, grateful for the assistance it gives, then they will find that this wave indeed propels them on their journey. If one holds fear and feels that disastrous change will follow this wave, such as earth changes, political unrest, and even the ending of civilization, then the wave will pass and they will remain largely unchanged as the fear has keep them from opening to the full potential. This wave is an excellent opportunity to set your intention to move beyond the thoughts, behaviors and old programming that has limited your ability to move forward. Each of you will receive assistance releasing all that is ready to be released if the lesson has been completed. For those who feel trapped in a pattern, now is a good time to ask to be shown what this pattern is meant to teach you. Only by truly understanding the lesson can one move beyond it. Not all are aware of the patterns that influence their lives heavily, now is the time to ask to be shown what needs changing in your life, what is hindering you from embodying all of your highest aspect. Many of you are experiencing a resurgence of deep fears so that you may move beyond them and not take them into the new. Others are being shown where they have held judgments and grievances towards others and are being given the opportunity to no longer continue the programming and beliefs that created the division. In each moment you are creating your hologram and can choose to bring with you into the new the things that help and the things that hinder your growth. Awareness of this is the key. This wave will help all those that are ready to be helped and for those that are still exploring the lower realms of density they will receive the promptings sent by their soul encouraging them to open and awake. We are very excited by this progress and the sheer number of you that have breached or will breach the 5th dimensional barrier in the coming weeks. Most of you will continue onward through the dimensions, clearing more density, embodying more of your soul source. Each of you that does this work is affecting the collective with your increased vibration. Like ripples in the pond, each of you is making your mark on all around you. Your higher vibrational presence will help to awaken and change those around you who are ready to change. Your contribution at this time is important and we ask you to remain present, aware and in your heart space. Me: The past two weeks have been a whirl wind of amazing growth, acceleration in abilities, and the highest highs and the lowest lows. The exhaustion can be overwhelming. Sananda: Much is taking place in all the layers of your body, your chakras are being upgraded as is your merkaba field. In order for this to happen, more density must leave your form. Exhaustion is the key that your body needs to relax in order to integrate the changes more efficiently. This urging for rest needs to be honored. Me: I had a situation where one of my deepest fears, which I thought I had worked through, was brought to the surface by a family member. While I understand that it was a gift, showing me what was unresolved within, I was shocked at how deep of a depression I went into. I was able to “sleep it off” and move through it the next day, but I was still surprised at my reaction. I felt as if I had plummeted dimensions back to the deep, heavy parts. Sananda: Indeed you had. You had to revisit where the fear was created and remove it from the lowest aspect of your form in order for all of you to move forward. Being multidimensional you have the ability to go into any time and space, this allows you to clear even the deepest parts of your psyche. This is necessary in these higher frequencies for you heal even the smallest thread holding you to the old. Me: Will this continue to happen as I move forward? Me: How will people know if they have moved into the higher dimensions? Sananda: Simply through observing their interactions and reactions. As one vibrates higher there is an ease that takes place, things flow. Synchronicity increases and manifestation is more rapid. When situations arise that are unpleasant, look at the reaction within the physical body and thoughts. Are you able to see the greater plan or trust that there is one, even if it is hidden? Approaching the stresses of life in form with less angst is a sign that you have moved upward in vibration and understanding. Me: I feel like this is just the beginning of an amazing journey of self discovery. Sananda: It is Dear one, It is.